Mr Niki Clarke has been training in Choi Kwang Do since 2013 under Master Anthony Wendt at Richmond CKD school and is currently studying towards 2nd Degree Black Belt. 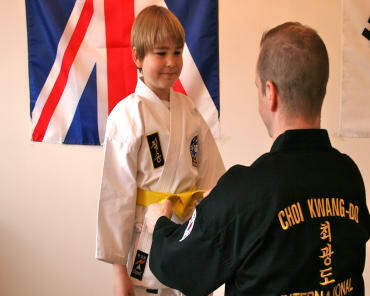 Studying Choi Kwang Do under the incredible tutorage of Master Wendt saw Mr Clarke gain the rarely awarded A Grade pass for first degree Black Belt. Mr Clarke's interest in Self Defence Martial Arts has been there since an early age and his interest has extended not only into self defence itself but also it's application for Confidence, Flexibility, Awareness and Philosophy. Mr Clarke has discovered that all of these elements have been answered within the Choi Kwang Do system. 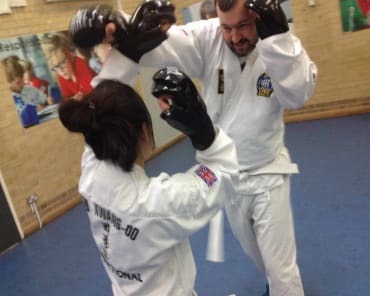 Mr Clarke has experimented with various martial arts including Judo, Kick Boxing, Wing Chun and Boxing but has found Choi Kwang Do to really give students a well rounded set of practical self defence skills. As well as regular daily training Mr Clarke has been in constant pursuit of elements to compliment training and has also been studying Yoga, Deep Stretching, Fighting Psychology, Physical Conditioning and has even taking regular Ballet classes to gain transferable skills to apply to training and combat! Mr Clarke has a vision to build a great Choi Kwang Do school with a martial art that is really open to anyone that wants to learn with any level of previous physical training or flexibility. Choi Kwang Do is for ANY and EVERYONE that has ever wanted to learn a martial art, wants to be able to have strong self defence skills or even wants to gain confidence within a very positive friendly environment!